North and South Korea's Paralympic teams will march separately at the opening ceremony of the 2018 Winter Games in Pyeongchang, South Korea, according to a press release from the International Paralympic Committee. The IPC and the countries' Paralympic representatives met in the Paralympic Village to discuss the possibility of marching under the same conditions as their Olympic counterparts, but a deal couldn't be reached. "Although we are disappointed, we respect the decision of the two [National Paralympic Committees] who decided that marching separately would be better for both parties," IPC president Andrew Parsons said. 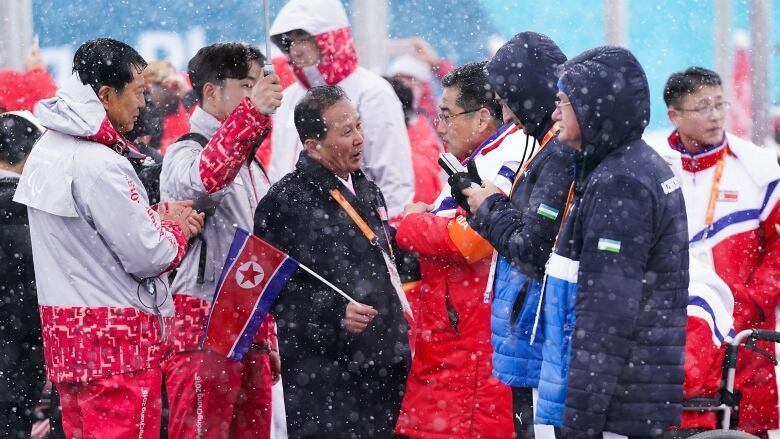 "The IOC made great progress in opening up dialogue between the two nations ahead of last month's Olympic Winter Games and I think having North Korea participate in Pyeongchang 2018 is a great step forward for the Paralympic movement. "During today's discussions it was clear that NPC North Korea respects and values the IPC's vision and mission. Going forward, it has committed to working further with the IPC to improve the lives of people with an impairment in North Korea." Parsons praised the dialogue between the two countries' representatives, adding that the meeting "underlines the tremendous ability of sport to bring countries together in positive dialogue." "At the end of the meeting both NPCs recognised that their participation in PyeongChang 2018 has brought them closer together, and the two have committed to working more closely together in the future." Thirteen-time Paralympic medallist Brian McKeever was named Canada's flag-bearer. The ceremony will be broadcast on CBC 5:30 a.m. ET beginning with a pre-show before the ceremony itself starts at 6 a.m. ET. A prime-time broadcast will also re-air on CBC at 8 p.m. ET.